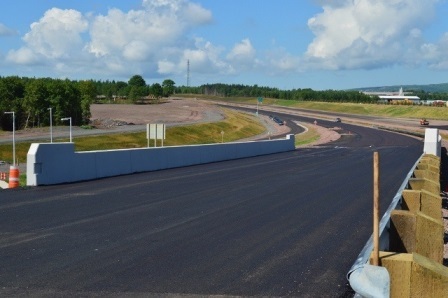 As part of the Highway 104 twinning project through Antigonish, NS, HEC completed the design of the twin overpass structures at Trunk 7 (intersection along existing Highway 104 at St. Francis Xavier University). The new structures are single span, pre-stressed NEBT 1600 concrete girders spanning 30 m. The design features fully-integral abutments founded on steel H piles. 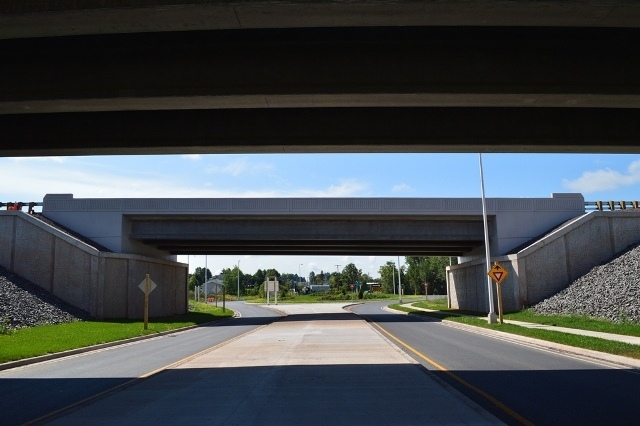 MSE walls were incorporated into the design to minimize spans and provide the grade separation between the existing trunk highway and the new highway above. The alignment featured horizontal curvature that was accommodated by using tangent girders and variable overhangs. HEC provided the detailed design of 2 alternate pre-cast deck systems that would eliminate costly and time consuming suspended deck forming. 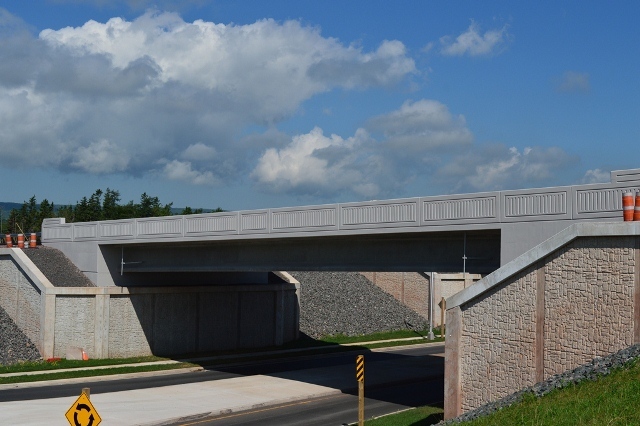 Further, in order to address a supply and delivery issue with proprietary MSE wall systems, HEC provided the design (for the Contractor) of an alternate pre-cast MSE type retaining wall system that allowed construction to proceed while minimizing delays.